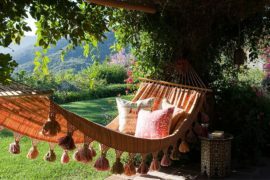 Without a doubt, bohemian decor has a lot of character and is perfect for creative souls who value artistic expression within their living space. 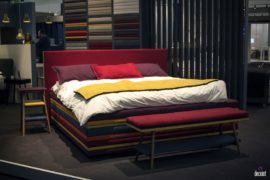 Choosing a vibrant red color to be a part of your bedroom will give it a lot of life and boldness, but the notion of a four poster bed will offer stability and the feeling of sleeping like royalty. 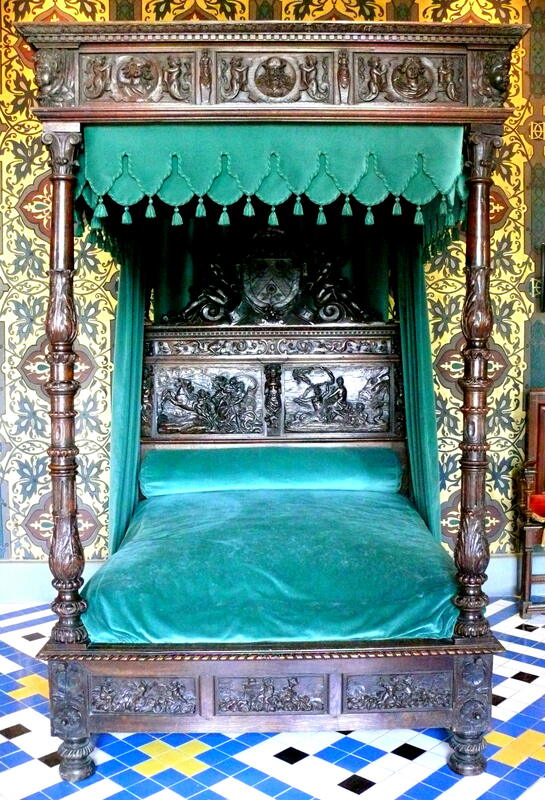 Contrasts can be incredibly meaningful when we are focusing on decorating our sleeping quarters in a manner that makes them feel energetic and calm at the same time – this might sound like a contradiction but this admirable bedroom with bright red canopy and a plain wooden four poster bed argues our case! 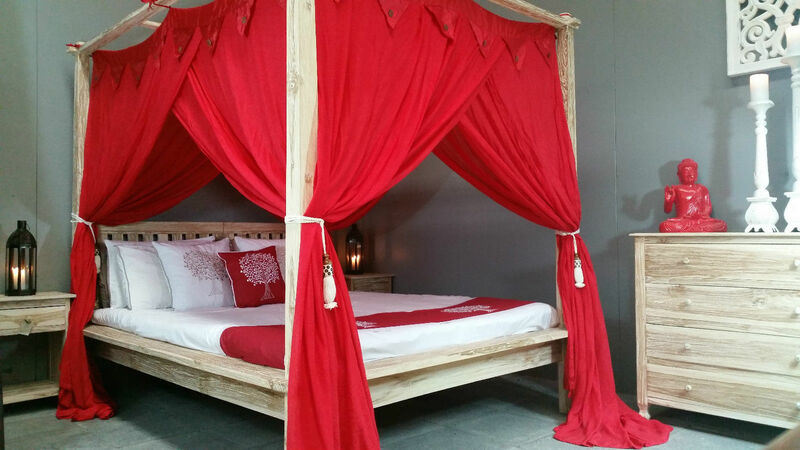 Incorporating the red into the styling of your boho four poster bed is a very simple thing to do if you have other colors to work with, seeing as red really pairs well with almost any color! 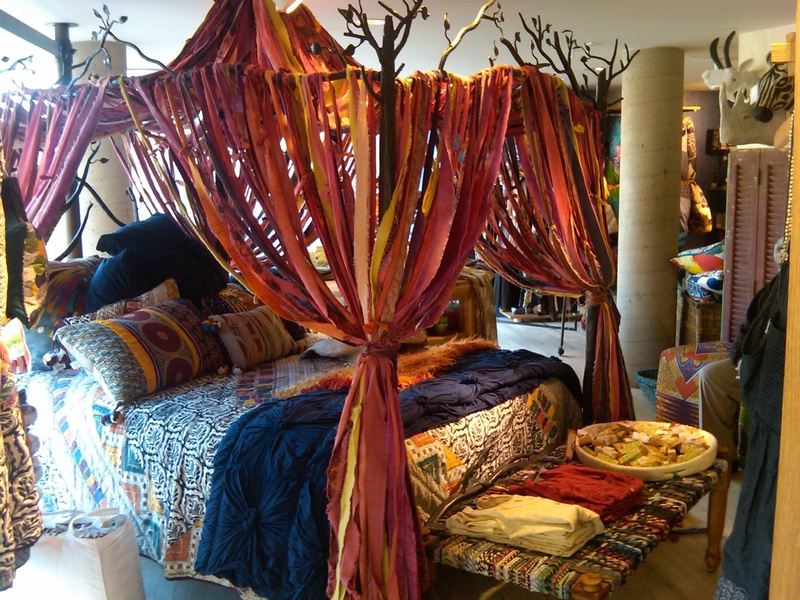 Don’t be afraid to create a colorful explosion; remember, the whole point of bohemian is no rules! 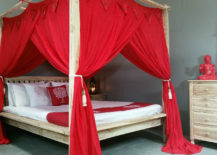 Bohemians stray from the tradition, so why not choose a four poster bed that is completely innovative and channels the wild spirit of nature, through the bed frame resembling tree branches and the fiery looking fringed canopy. 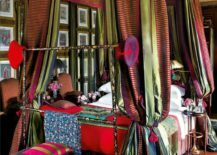 Pink may not have a firey vibe to it, but it is vibrant and characteristic nonetheless, making it the perfect candidate for a bedroom with a four poster bed in need of a bohemian touch! 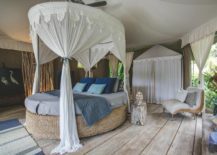 You can opt for a classic boho chic styling with a lot of decor pieces scattered around the bed, allowing it to be the just one piece of the mosaic, or you can go the other route and make your four poster bed the absolute centerpiece of the room by deciding to go the unconventional way and style the rest of the room in a rather minimalistic tone. How you wish to feel within your home is the most important thing to consider when you are deciding on the interior. For the ultimate gypsy dreamer, the free-spirited white creates a dreamy atmosphere in which one can get both inspired and relaxed. 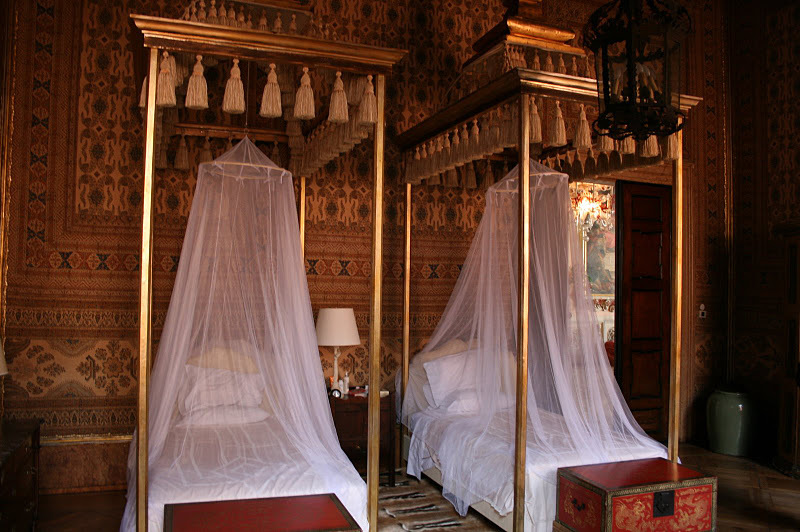 What the four poster beds showcased below all have in common is how light they make the space feel. 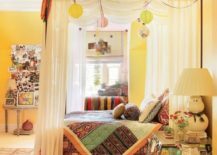 They are airy and gentle, allowing you to decorate the rest of the bedroom with as many thrifted items as you wish and retain the feeling of breeziness and weightlessness. 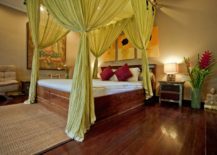 In a bedroom full of pastel colors and vintage decor elements, a four poster bed styled with a white canopy and corresponding bed sheets is an indispensable piece. 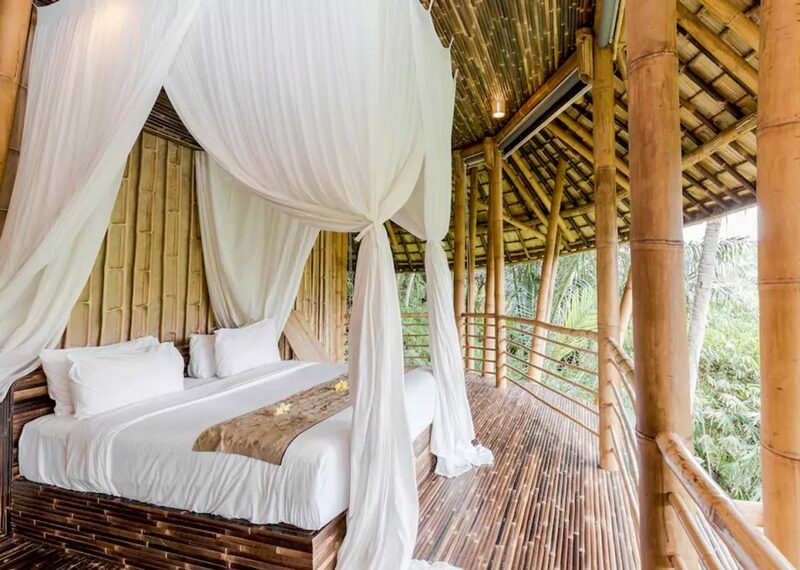 The white curtains around the bed frame turn your bed into a cozy nook not just for sleeping, but also daydreaming and planning your next traveling adventure. 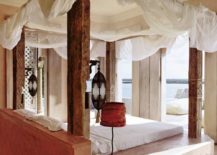 If you want your bedroom to have an elegant styling but can’t resist a touch of boho chic, make your four poster bed canopy as curvy and dynamic as possible, leaving the rosy, almost white, curtains to fall freely as often as you wish! 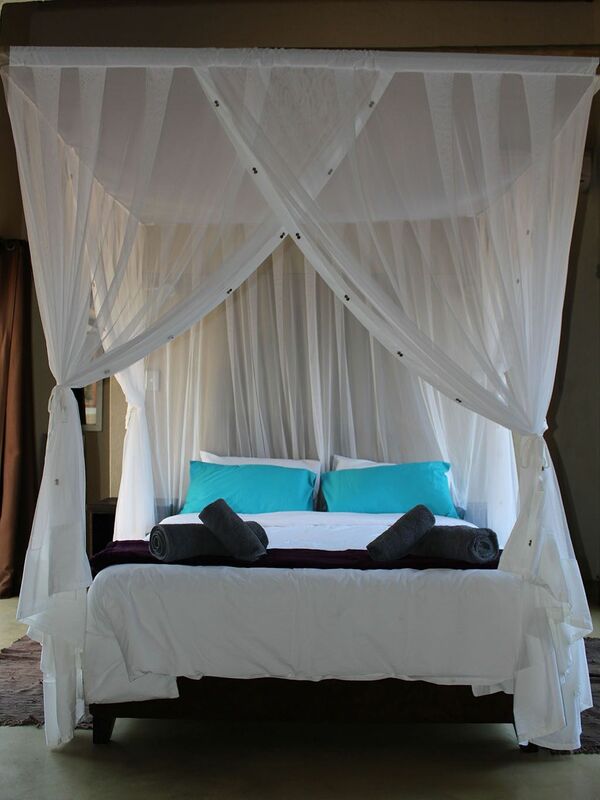 This is a four poster bed that reminds us of a luxurious retreat and we would almost fall for the sophisticated styling of the bed sheets if it wasn’t for the light feeling of the white canopy curtains paired with bold turquoise pillows! 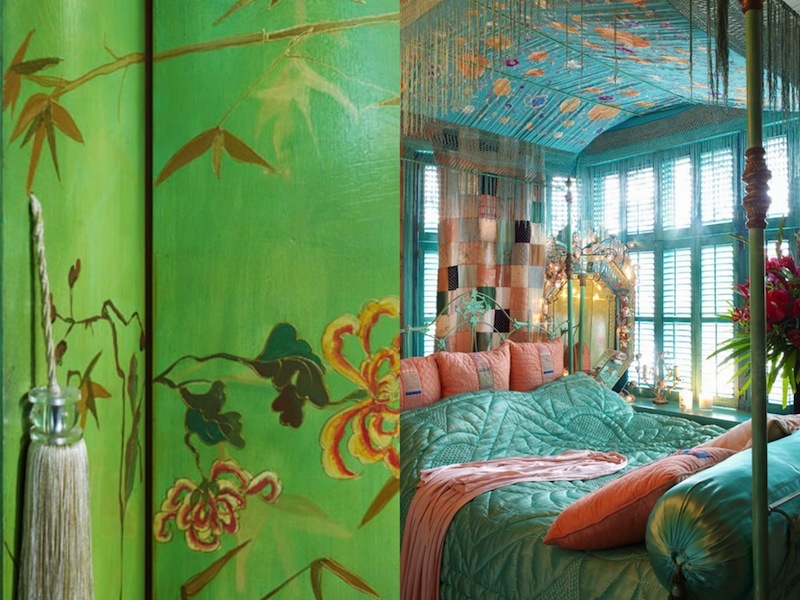 Bohemian interior is flexible, fun and the exact opposite of boring. 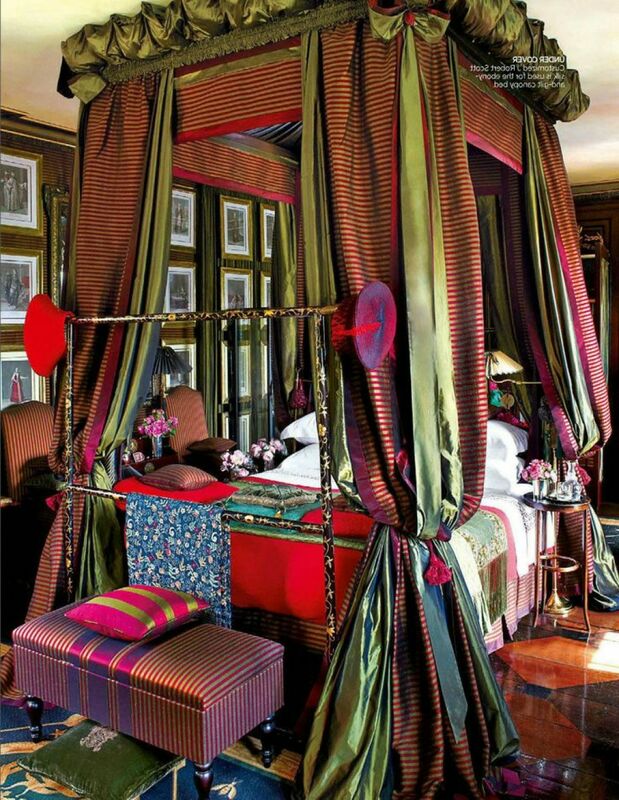 If classic four poster beds are way too normal for you, here’s one that embodies the boho chic philosophy with its innovative design and perfect color pairings. 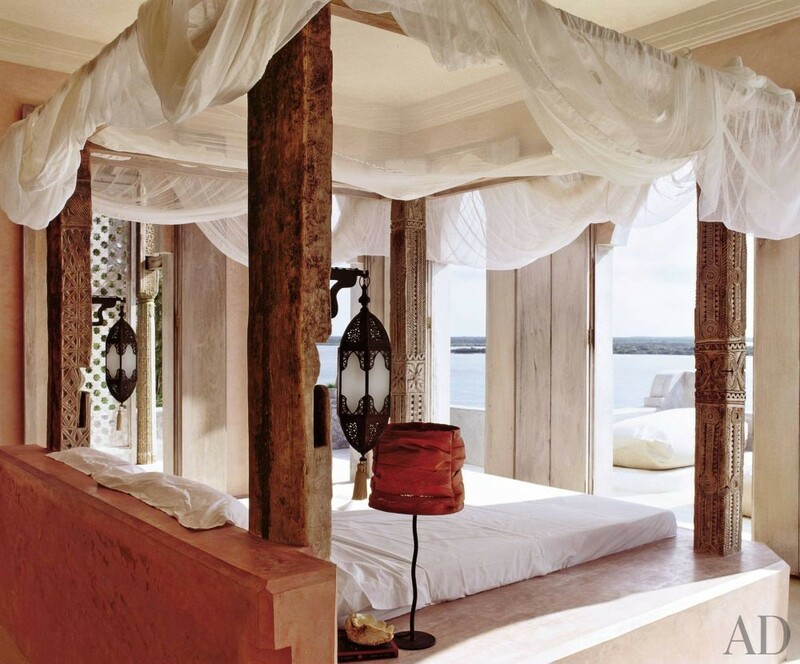 Sleep like bohemian royalty in these breathtaking four poster beds that are styled with incredible simplicity and balance the bold and striking interior. 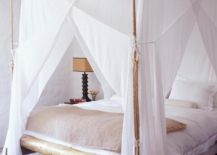 Look to HGTV to see an example of an airy and unique four poster bed that seems almost weightless with its slick design and airy styling. 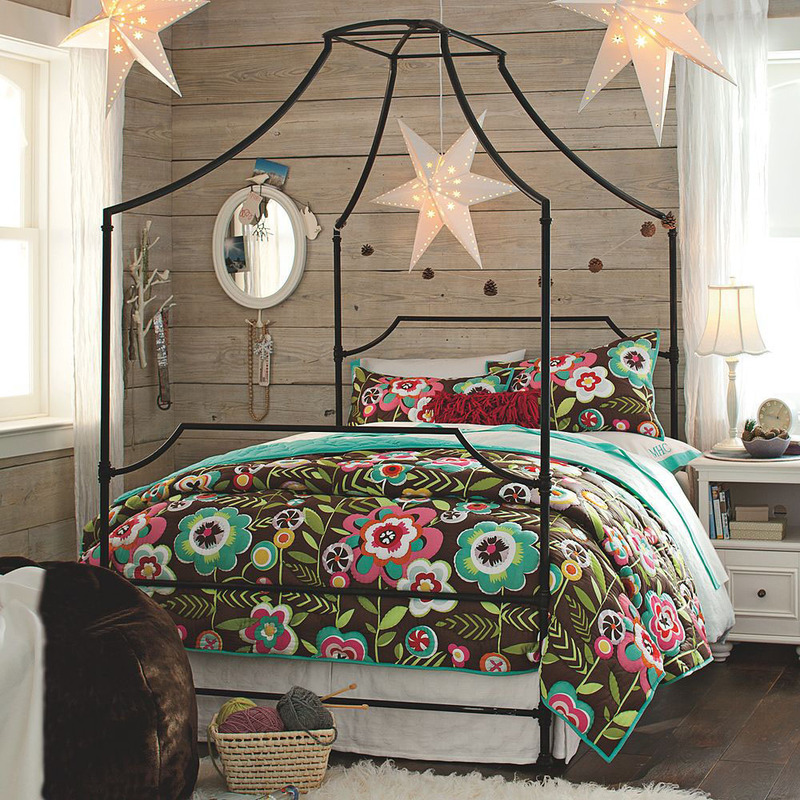 If boho decor had rules, it wouldn’t be boho anymore. 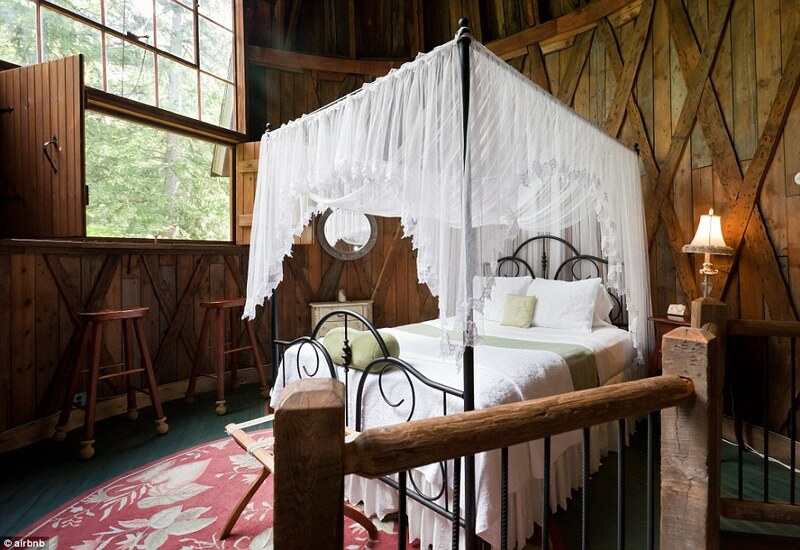 Look at this precious four poster bed defying the laws of rustic decor with its dreamy, almost angelic presence within a cottage-styled bedroom! A gypsy soul is restless if it doesn’t travel but it has to settle down every now and then. 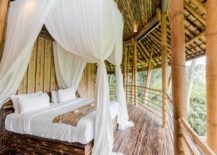 If you want your bedroom to capture the spirit of traveling make it as open as you can, creating a gypsy oasis that’s overlooking the nature. Even an adventurer wishes to sleep cozy! 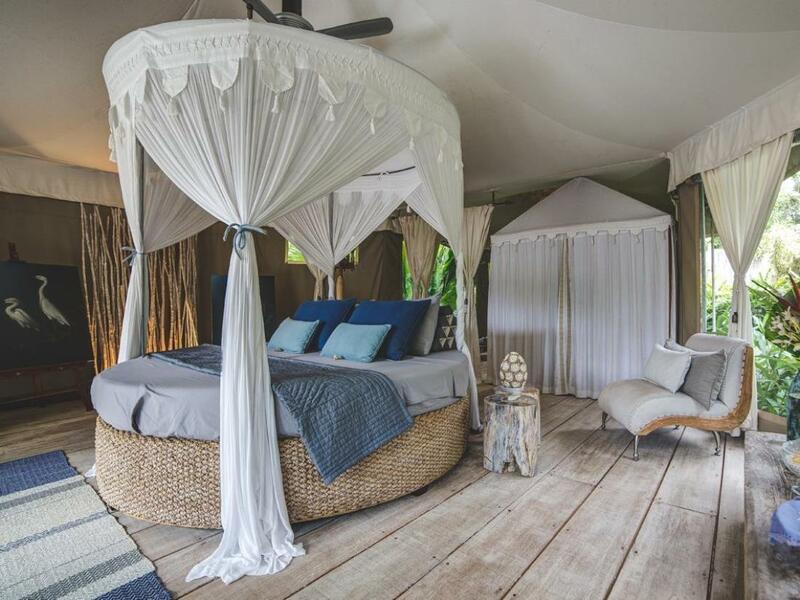 This boho chic four poster bed strays far away from the traditional, orderly four poster beds and rather embodies the spirit of freedom and comfort. 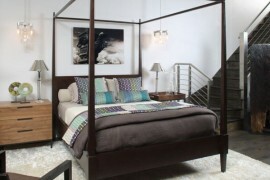 The more you open up your bedroom the freer and lighter it’s going to feel like. 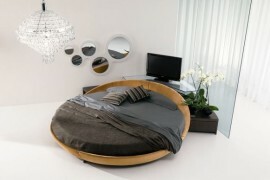 Add a whimsical element such as a round four poster bed to assure the dynamic vibe bohemians always crave for! 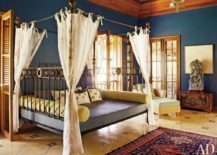 Architectural Digest features a bedroom that holds all of the defining elements of bohemian decor; pillows, a rug and a decorative statue. 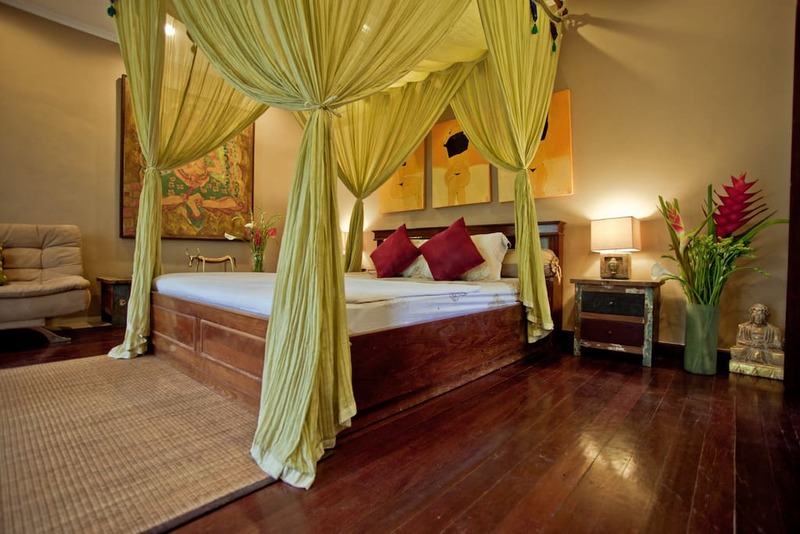 It is the perfect ambience and a warm atmosphere for a metallic four poster bed with breezy white curtains. 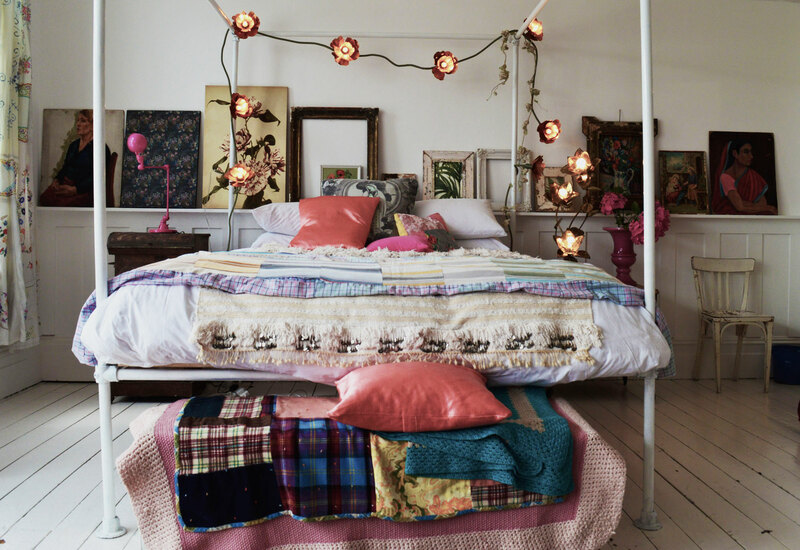 Just because it’s bohemian, it doesn’t have to be cluttered. If you genuinely wish for your sleeping quarters to look orderly, go for a colorful bedding but match it with simplistic white bed frame curtains. For an element of dynamic, lanterns are a must! 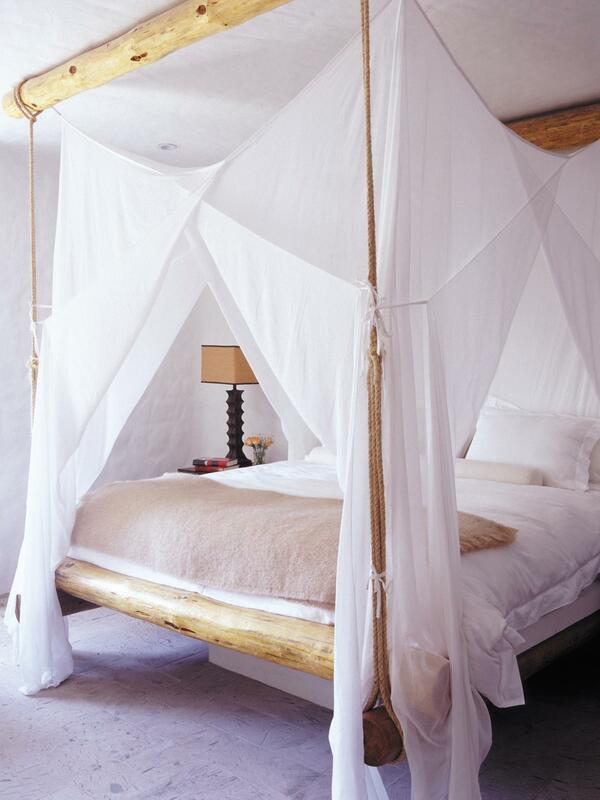 A four poster bed can be very minimalistic and it doesn’t necessarily require a canopy or curtains in order to charm with its bohemian vibes. Place your focus instead in colorful pillows and romantic lighting that will create a buoyant climate inside of a modest bedroom. The beauty of the bohemian styling, and the word of the day, must be freedom. 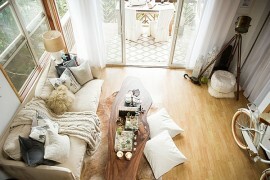 A big part of that means there are no boundaries when it comes to decorating your living space. We’ve already mentioned that in a bohemian styling, there are no rules. Artistic expression is all about letting go of preconceived notions about how things are supposed to look like. 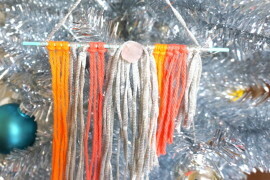 If we can borrow the phrase the sky is the limit and change it to fit our bohemian theme: the color spectrum is the limit! The explosion of pastel colors with an abundance of pillows is as artistic as it gets! 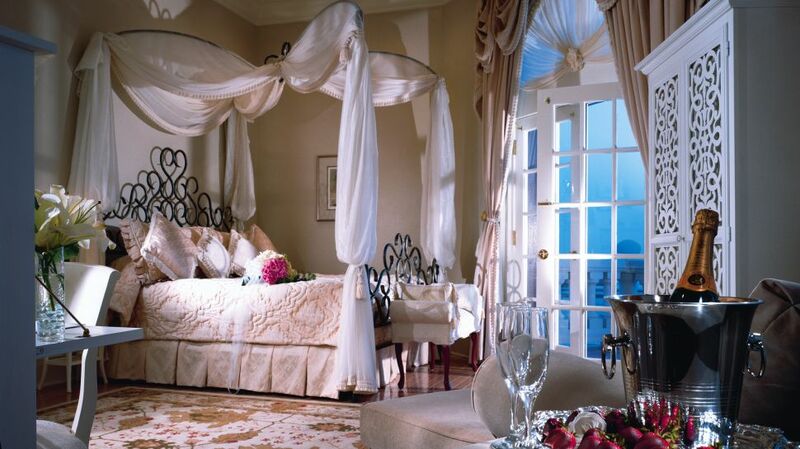 We find this bedroom incredibly mesmerizing! 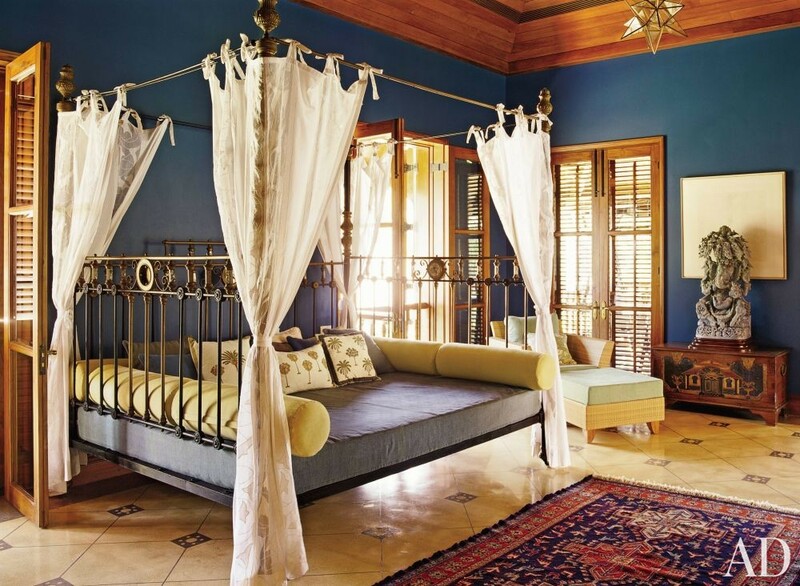 Seek inspiration in Renaissance to see how the most vibrant colors are a secret lover of big rustic beds. The decor itself almost feels reckless but it captivates you to the point of being unable to look away. In a neutral rustic bedroom an outstanding and colorful four poster bed is a necessity for anyone who wishes to sleep like multifaceted artists do! We love how the room feels liberated by all the different textures! In boho decoration, there’s no such thing as “too much.” Everything is allowed, as long as it creates a safe space for you to creatively express yourself and let all of your ideas run wild! 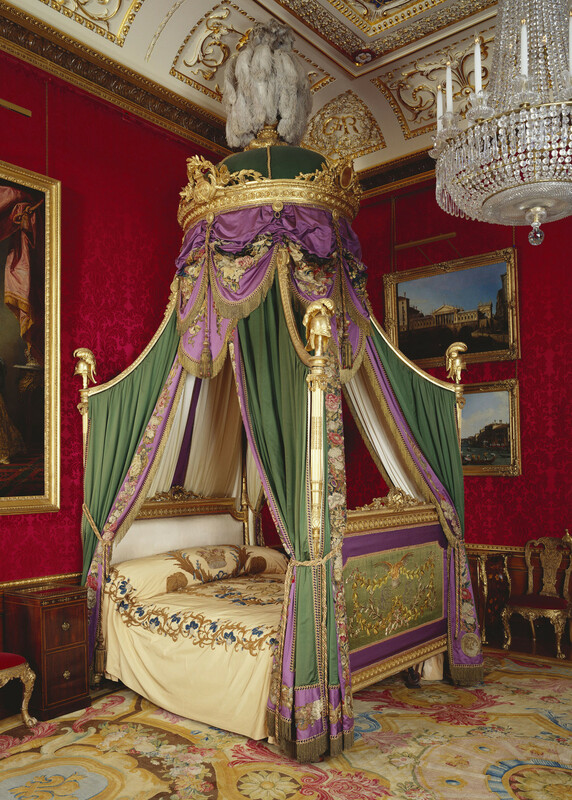 Take some hints from Royal Collection Trust if you are worried about going over the top! Never underestimate the power of eccentric furniture. 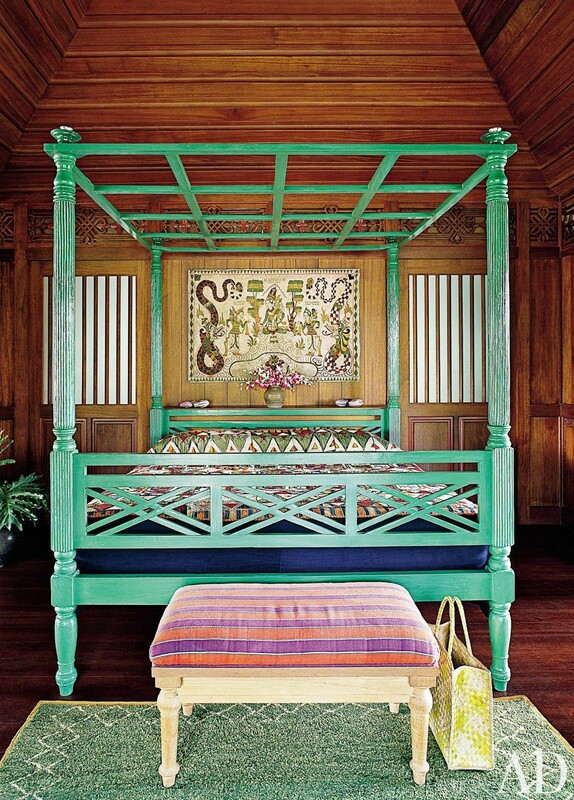 This minty bed absolutely dominates the place it’s set in and takes a cottage styled bedroom into a dance dictated by the oriental rhythm! Break through the normality of a polished bedroom with a colorful canopy wrapping up your four poster bed into a veil of wilderness, showing an untamed spirit inside of a tame setting.